Laureate of numerous piano competitions (“A. Rubinstein” (Paris), “The Muse” (Santorini), “Yakov Flier” (Moscow) International Piano Competitions, “Normandy European Piano Competition” (France), “Audience prize” holder of San Daniele International Piano Meeting, Mark Taratushkin performs successfully as soloist and as chamber musician in Russia and Europe-wide. Born in Ukraine, where he started his musical education at the age of five, he moved to Moscow, where he soon was accepted to the Central Music School. Later he entered Moscow Tchaikovsky Conservatory, where he studied in class of prof. N. Troull. 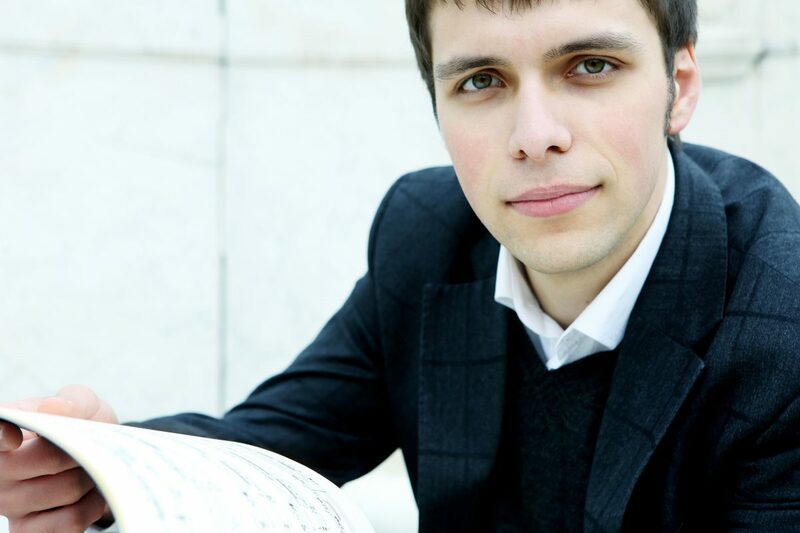 Graduating from the Moscow Conservatory in 2013, the young pianist moved to Germany, where he continued his education first in class of prof. G. Zitterbart in HMTM Hannover, and later under the guidance of prof. K Hellwig at UdK Berlin, where he studies up to now. During the last few years Taratushkin has been concentrating on performance of the German romantic music and on XXth century music among others. His interpretations of contemporary music was mentioned by the „Lutoslawski prize“ at „Normandy European Piano Competition“. Winning Israeli Music Competition of Tel-Hai he made a world premiere of pieces written by Israeli composer Moshe Zorman. His debut CD with works by Bartok and Prokofiev was released in March 2015 accompanied by concerts in Germany and Italy. During his studies Taratushkin received master-classes and was guided by many renowned musicians: prof. Vincenzo Balzani, prof. Dmitry Bashkirov, prof. Leonel Morales, prof. Tomer Lev, prof. Kalle Randalu and Akiko Ebi among many others. Mark Taratushkin is a scholarship holder of Swiss Piano Foundation “Clavarte”, “Live Music Now” e.V. Chamber Music Foundation, “Paul Hindemith” Foundtion, “Ottilie-Selbach-Redslob” Foundation and Ad Infinitum Foundation.